BLESSINGS for the Wedding Party, Family and Friends. This bracelet is a reminder to pray for the special couple on their wedding day. 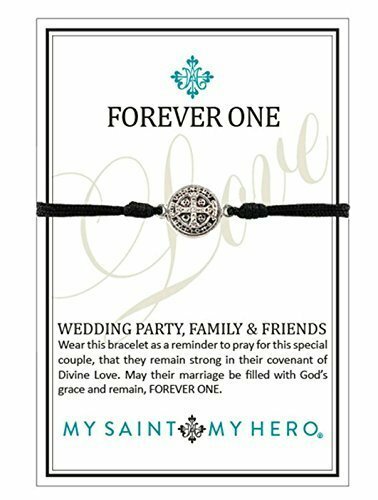 Forever One – Family & Friends bracelets are perfect as wedding favors. Features a silver dipped Benedictine medal with logo charm. Each bracelet comes displayed on a Forever One Love card. See also Forever One bracelets for the Bride and Groom!